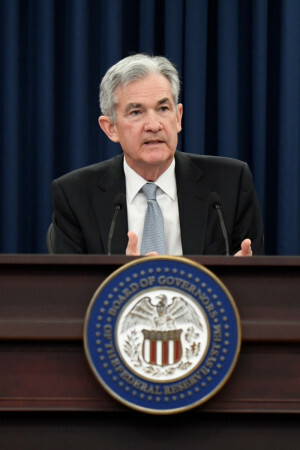 Washington, March 22: The US Federal Reserve on Wednesday raised the benchmark interest rate by 25 basis points and signalled two more rate hikes in 2018, citing "strengthened" economic outlook in recent months. "In view of realised and expected labour market conditions and inflation," the Fed decided to raise the target range for the federal funds rate to 1.5 to 1.75 percent, Xinhua quoted the central bank as saying in a statement. Fed officials widely expected that the US economy would grow at a faster pace this and next year, driven by fiscal stimulus and improved overseas demands. The US economy would grow at 2.7 percent in 2018 and 2.4 percent in 2019, higher than previous projections of 2.5 percent and 2.1 percent, respectively, according to the Fed's forecasts released on Wednesday. Fed policymakers still envisioned three rate hikes in 2018 despite improved economic outlook, according to the median forecast for interest rates.